Here at Retrovolve, we’ve been cataloging MSRPs for Super Nintendo and N64 games, and the prices we’ve been finding are completely insane. Games that were released more than twenty years ago are expensive even by today’s standards. While the listed prices are pretty jaw-dropping, they weren’t all that shocking me. I’ve bought a lot of Nintendo games over the years, and I remembered paying exorbitant sums for plenty them. But while I’ve dropped wads of cash on Nintendo titles, I grew up in a Sega-free household. That made me wonder if the high prices I was seeing were isolated to Nintendo, and if Sega Genesis titles were affordable in comparison. The word “nope” isn’t entirely accurate. 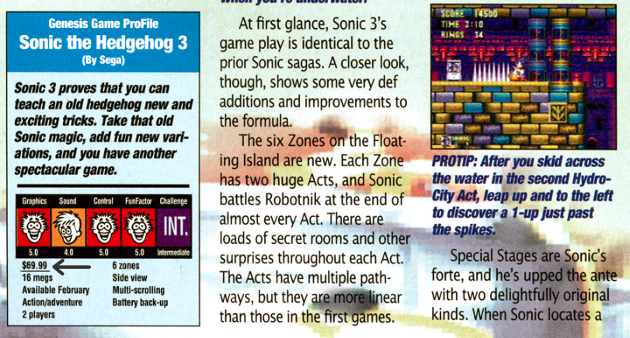 A quick glance through old issues of GamePro did show that my supposition was sort of right. Genesis titles were slightly cheaper than their Super Nintendo counterparts, but they definitely weren’t what I’d call affordable. Maybe Sega could do what Nintencouldn’t, but their games weren’t much easier on player’s wallets. 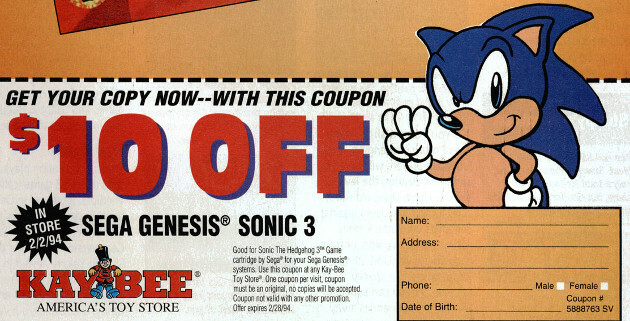 The Sega CD may have been a $300 Sonic CD machine, but fans who shelled out for one did see some savings. The majority of Sega CD games I saw were priced at $49.99.